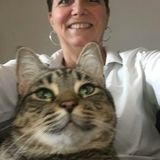 I am a mature House/pet sitter with decades of experience caring for homes/gardens/pets/family. I have profiles on several platforms for house/pet sitters including full verifications including police check and reviews. I also have great reviews as an AirBnB client. You can trust I will care for your property and pets as my own. I have done sits in Toronto, the GTA and in the USA. I am a good communicator and value trust and honesty. I have experience with cats and dogs, fish and even chickens. I can manage indoor plants and a small outdoor garden. I can do pool maintenance. I am very adaptable and I don’t need fancy living quarters other than something that is safe and clean and comfortable. I may have a vehicle and would then need parking. If not, and you have a vehicle for me, I have an immaculate safe driving record. I’m retired so I will be able to devote time to your home and pets. I would prefer good internet to be available but it’s not a dealbreaker. Similarly, a place to swim, an organic garden/store etc would be perfect but I manage just fine whereever I go! I am healthy, active and fit enough to keep up with your energetic pets. Do not hesitate to make inquiries. I am experienced as a pet/house sitter with very positive reviews. I have a police check done as well. Present housesitter serving Hamilton, Burlington and Oakville.Enjoy your time away with great peace of mind.